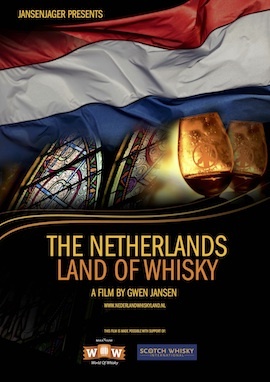 The Netherlands, Country of Whisky is the title of the documentary that independent filmmaker and whisky lover Gwen Jansen has made about the remarkable and unique whisky culture in the Netherlands. The documentary will be showing during the Spirit of Speyside Whisky Festival. Showing between Thursday 30th April until Monday 4th May at 2.00pm and 4.00pm. On 30th April, 1 and 2 May the filmmaker herself will also be present to answer any questions. Admission is by Donation to assist with the running costs of Speyside Visitor Centre which is operated by a team of Volunteers. During the period of the festival the dual layer DVD with 1.5 hours of extra whisky film material (both in Dutch and English) is also available for sale at the Whisky Shop in Dufftown for £10. You can sign up here to also get a hold on the popular dvd / blu ray ! ©2013 Designbase All Rights Reserved.